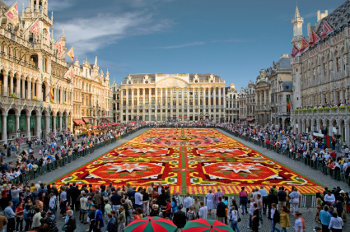 Brussels, Belgium is an under-rated city from a travel perspective. There are some wonderful examples of older European architecture, grand squares and charming neighborhoods, important institutions such as NATO and the EU, terrific museums, and a cosmopolitan flair, mixing French cuisine, a Dutch influence, and a growing North African population. This is our guide to running in Brussels, Belgium. 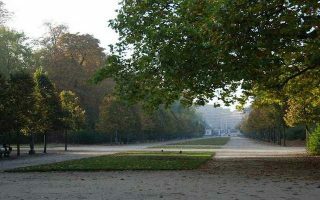 The running scene is defined by a series of lovely parks. String a few of them together to get a longer jaunt in. 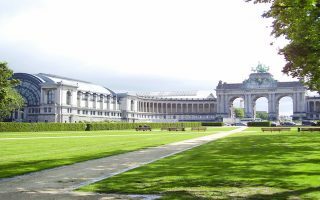 A 3–4 mile route through the compact city center will provide a ‘running tour’ of some of the city’s most important sites, between Parc Bruxelles and the Cinquantenaire. There’s some great running along the canals, and in several Forest Parks near the city: Parc de Forest/Parc Duden, and Bois de la Cambre. And, runners — the city has great chocolate and even a chocolate museum! The city’s 4 metro lines and excellent tram and bus system make it easy to get anywhere and to running spots a bit further afield. Two great options for 'runseeing' Brussels: A ~3 mile tour of some of the more the main sites: Cathedrals, castles, museums, parks. Mainly west of Parc Bruxelles. Also a longer, 15k tour, designed by City Runs, that features most of Brussels' highlights. 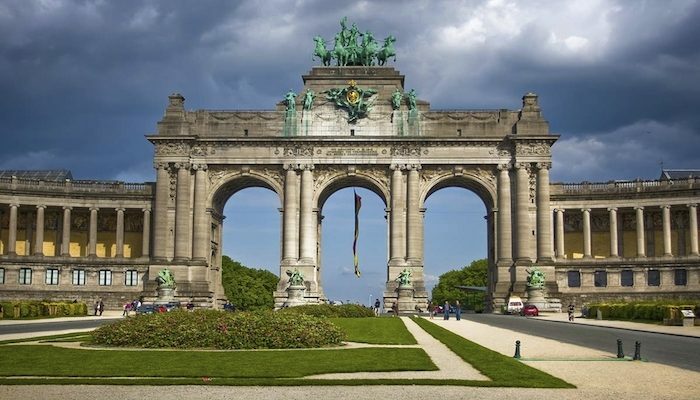 An opportunity to run two of the city’s nicest parks and also enjoy some important sites, including the Arcades du Cinquantenaire and several important museums. Brussels Urban Run: Chocolate Village! Another 'runseeing' option on Brussels, mainly west of Parc Bruxelles. Incorporates Botanical Garden, and run out to Chocolate Village and Parc Elizabeth/National Basilica, finishing along the north side of the Old City. A 7-mile tour. 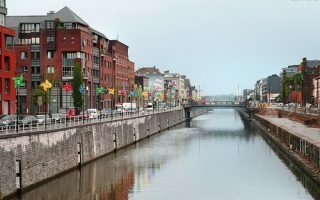 An extensive canal system runs from just west of the center of Brussels north and south. The most pleasant sections close to the center are from the Porte de Ninove. 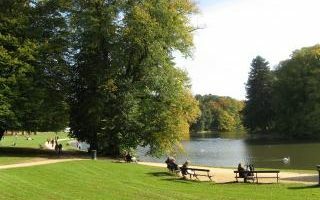 Bois de Cambre, 2 miles from the city, is a little larger and more rugged than Parc Bruxelles and Cinquantenaire. Lots of lovely paths, including ~1 mile around the lake. A 10,000+ acre wooded area, just south of Bois de Cambre and ~4 miles south of the center of Brussels. A vast number of trails marked 5k (green), 10k (blue), and 20k (red) loops. A nice, green option near Brussels Park. It’s possible to put together ~2.5 fairly hilly miles. The Parc de Forest is more graceful, Parc Duden more rugged. 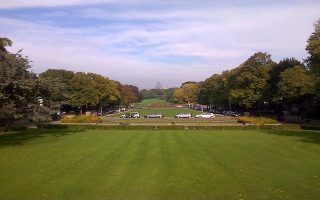 The best running near the Brussels Expo is a series of parks, which added together are ~5 miles from one end to the other. This area is north of the city. 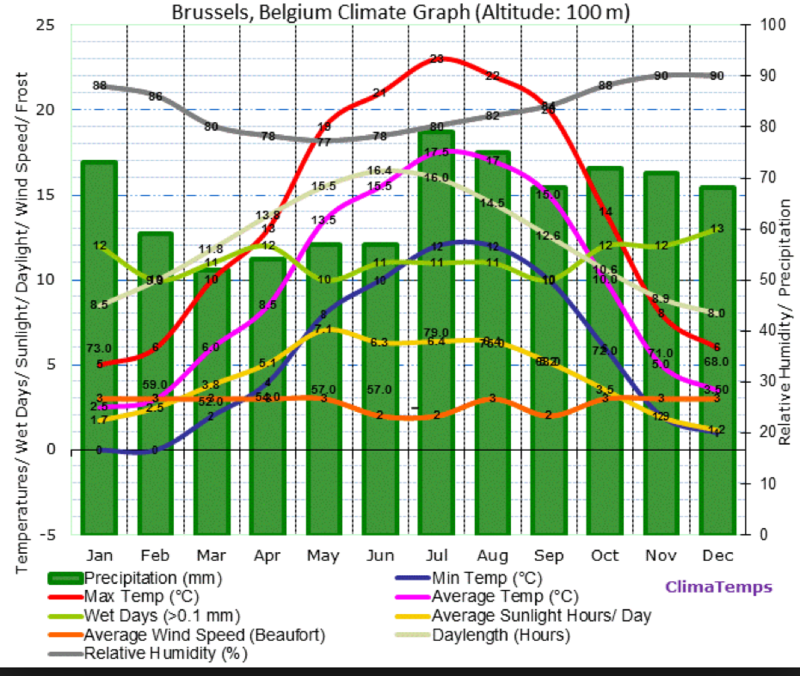 Brussels weather is similar to Paris and Amsterdam. 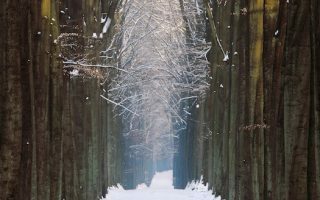 Winters are cool and damp but rarely frigid or snowy. Summers are mild to warm and fairly humid, with long days and cool-ish nights. 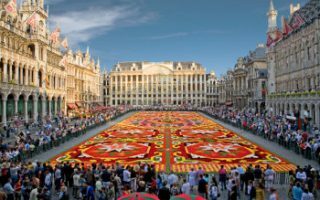 Stay anywhere in the center city or near the old city, and you can do a nice ‘tourist’ run of Brussels, or access some of the main parks such as Cinquantenaire and the Parc de Bruxelles. 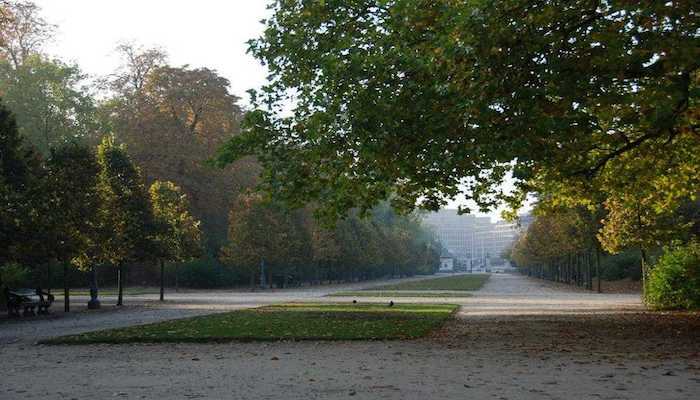 Your other best bet is to get a hotel near Bois de la Cambre, which also provides access to the Forêt de Soignes. 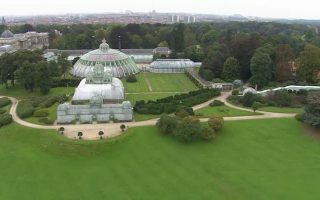 In the northern section near the Expo, try to stay near Laeken, which has good access to parks. There are several running specialty stores located in Brussels. Jogging Plus, Trakks, and Training7 are the most notable. They don’t appear to do group runs. Jogging Plus Centrally located on 10, rue de Luxembourg, near Parc de Bruxelles. Puma Store. Also near Parc de Bruxelles. Training7. Main runners shop of Brussels. Near the Soignes Forest trailhead on the Chaussée de Wavre. Trakks. Great running and outdoor store at Parc de Cambre. CityRuns offers great running tours of Bruseels. Friskis & Svettis. 25 year old volunteer run organization. Group runs with schedule that changes frequently. Hash House Harriers. Since 1980. Group runs Saturdays 3pm. Brussels Runners Meetup group. Lots of group runs. Club L’enjambée Woluwé located at SPORTCITY. They organize 2 training sessions a week including Sunday 10am in the Forest. Le Cepal. A more serious training club. Brussels Marathon. October. Every city has a marathon. This is Brussels’ version. The Brussels 20k. May. One one of the biggest races in Europe. 40k people. Great run touring Brussels. La Bruxelloise. Exclusively for women. 3,6,9k versions on the banks of the Ixelles ponds. The Color Run. September. Brussels version of this increasingly popular event. Mannekin Pis-Corrida. Fun race between Christmas and New Years. 4.5 and 7.5k races.